Kipsala is an island on the Daugava, spanning an area of 1 km2. Historically, Kipsala was home to fishermen. Nowadays, Kipsala is renowned for its outstanding wooden architecture, tranquility and outstanding view of the panorama of the Old Town of Riga. A typical house where fishermen once lived. 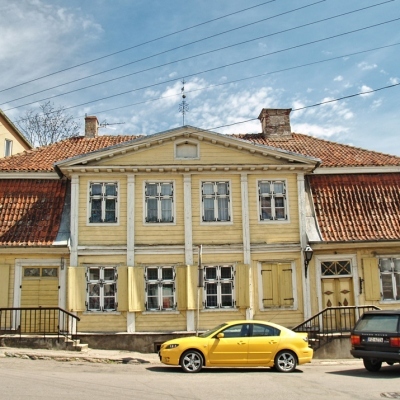 Built from 1911-1916. Visitors in need of healing could once enjoy medical baths here here throughout the year. During the Soviet era, the building was home to the resort’s polyclinic. The building was restored in 2003. 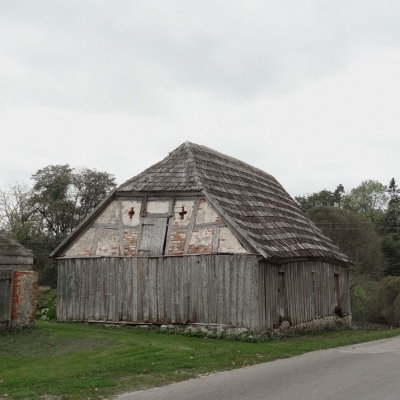 In many places in the Latvian countryside, one can still find old wooden log buildings, epitomising the traditions of centuries past. 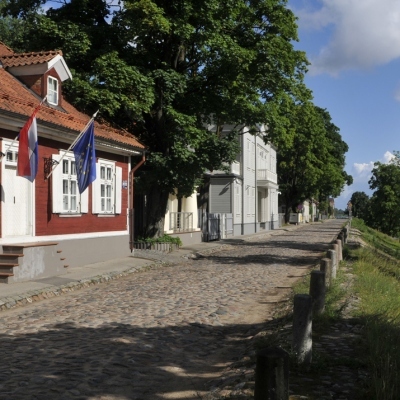 This small town is one of Latvia’s oldest towns, and is especially noteworthy for its wooden architecture and old paved streets. A great deal of effort is put into preserving the historical value of this little town. 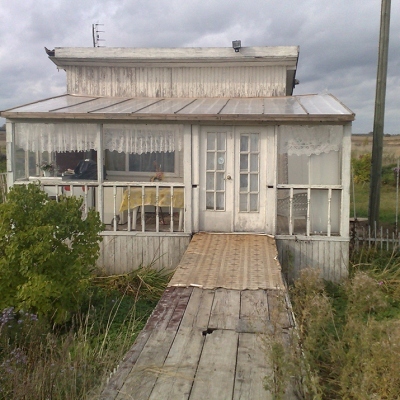 A typical Soviet-era garden cottage. 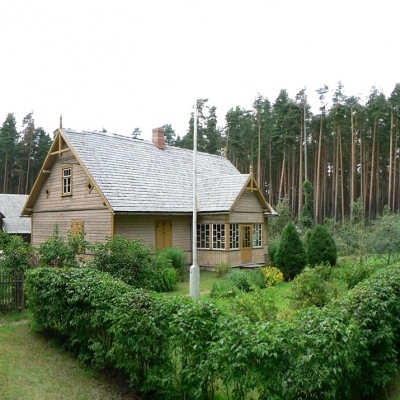 During the Soviet-era, many urban residents had summer cottages with small vegetable and fruit tree gardens. 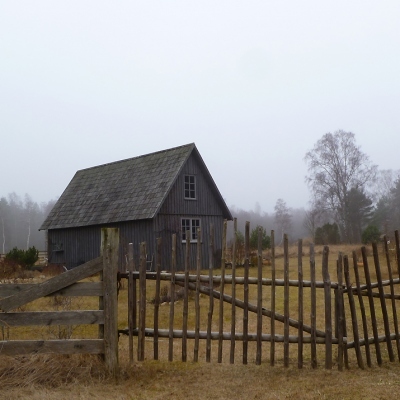 Latvia’s Ethnographic Open-Air Museum was founded in 1924. 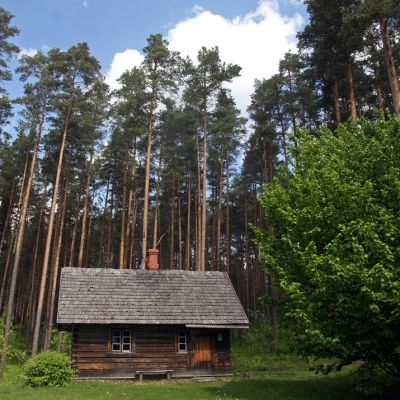 Stretching across an 87 ha territory along the shores of Lake Jugla, the museum contains over 100 folk building exhibits, which tell the story of farmers’ lives in the Latvian countryside from the late 17th century until the late 1930s. 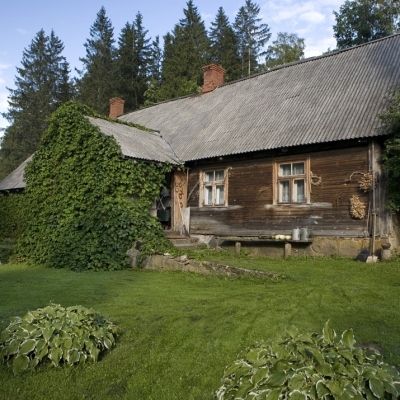 Latvia’s countryside has never been short of wealthy people or the country residences they built for their families. When the Soviet authorities deported the country’s biggest farmers to Siberia, and forced the rest of toil on collective farms, many burgeoning farms were abandoned. The only evidence left of them is the form of collapsing buildings. 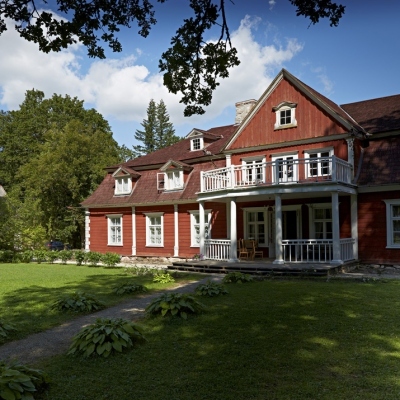 A typical residential farmhouse built at the start of the last century.